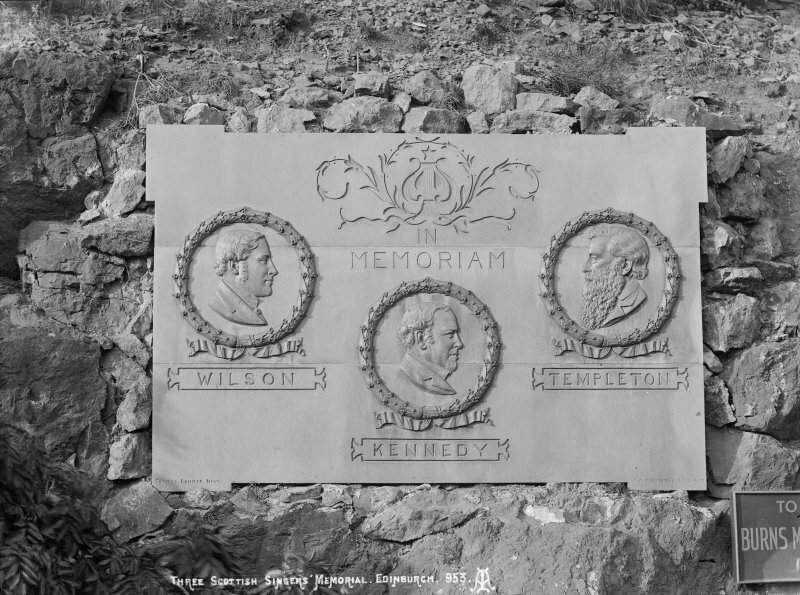 View of panel with portraits of Wilson, Kennedy and Templeton. 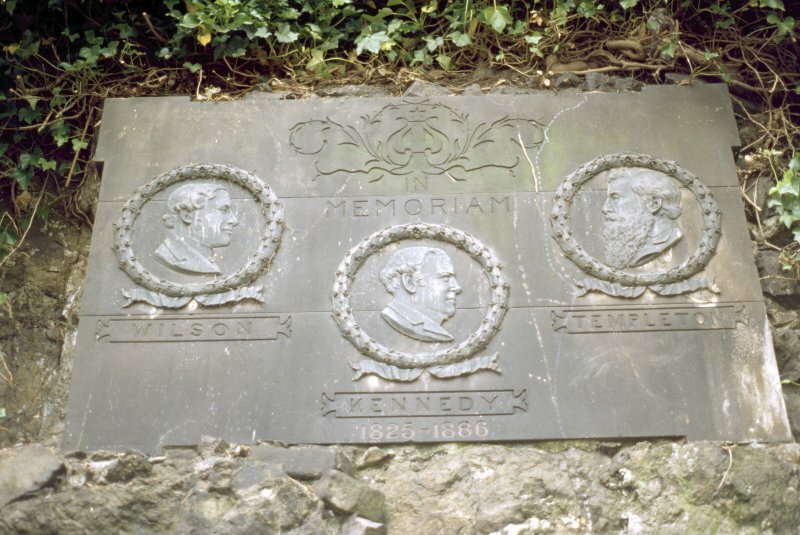 Panel containing three bronze portrait medallions of John Wilson, John Templeton and David Kennedy. Wilson and Templeton (left and right) are facing inwards; Kennedy (centre) is facing right. Around each bust is a wreath, and below each is the singer's name. Above the central portrait is a floral design containing a lyre. In the Town Council Minutes of 23 January 1894, it was reported that a committee of the Edinburgh Burns Club asked permission from the Town Council of Edinburgh to affix the tablet in the face of the boundary wall at the west end of Princes Street Gardens. A Sub-Committee of the Public Parks Committee, after visiting and considering various sites, recommended that the panel be attached to the rock face fronting Regent Road immediately to the east of the steps leading from the end of Waterloo Place to Calton Hill. Commemorates three 19th century singers who took Scots songs all over the world: John Wilson (1800-49) who died in Quebec; John Templeton (1802-86); David Kennedy (1825-86).